Allen Field Co., Inc. - Allen Field Company Inc. provides plastic handles, box connecting clips, hangers, display aids, woodworking specialties, the Trundlers, and custom design and manufacturing service. .
Allen Field Company Inc. provides plastic handles, box connecting clips, hangers, display aids, woodworking specialties, the Trundlers, and custom design and manufacturing service. Allen Field is the choice manufacturer of proprietary and custom-designed fittings for the Packaging, Woodworking and Textile Industries. Our solutions-oriented approach continues to make us a recognized leader in the industry. Allen Field was established in 1945 as a customer-focused manufacturer of plastic sock hangers, shoe hangers, small garment accessory hangers, plastic clips, plastic closures and other retail display hardware for the garment and hosiery industry. We have since expanded our product line to include box clips, plastic box handles, and plastic handles with logos. Our box clip is a convenient way to keep your packaging together. Our products are versatile enough for you to use in the way that they best fit your needs. The Mission of Allen Field Company, Inc. is to assist in the Design and Manufacturing of quality components for customers using our capabilities and experience in plastic injection molding, die-casting, metal-stamping and woodworking. 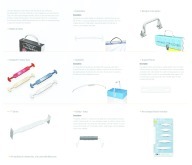 Stock packaging and woodworking components include: plastic handles, small hangers, plastic display hooks and rings, display hangers, connecting box clips, plastic and metal shelf pins, corner protectors, drawer slides, boring tools. 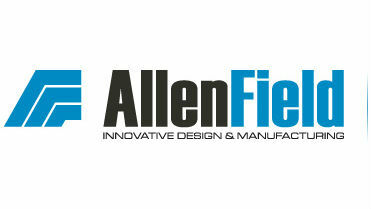 For more information contact Allen Field Co., Inc. It is our pleasure to give you our product literature! The Allen Field Mini Brochure is available for your reference. We are going green and you are encouraged to find our most up-to-date and in-depth product lines and E-Catalog at www.allenfield.com. If you have reviewed our materials or visited our website, we would appreciate hearing your comments, and we will look forward to answering any questions you have about our products and services. If you feel our product(s) may be the solution for your associate or customer, please share our catalog and contact information. We value your opinion and anticipate the opportunity to serve you in the near future! Thank you for your interest in Allen Field. CONTACT ALLEN FIELD CO., INC.